0 reviews Be the first to write a review! What Is the 2019 Chevrolet Malibu? The Malibu is Chevrolet's mid-size sedan that comes with gas-only or hybrid powertrains. Gas models use a 160-horsepower, turbocharged 1.5-liter four-cylinder engine except for the Premier, which has a 250-hp, turbo 2.0-liter. The Malibu Hybrid uses a 1.8-liter gas four-cylinder and a two-motor hybrid system to get an EPA-estimated combined 46 mpg. The Malibu competes with mid-size family cars such as the Ford Fusion, Honda Accord, Hyundai Sonata, Nissan Altima and Toyota Camry. What's New on the 2019 Chevrolet Malibu? New front styling features a gaping grille, and the rear has a new look with updated taillamps. A new RS version comes with the 1.5-liter engine, and a continuously variable automatic transmission replaces a six-speed automatic on models with that engine. The Chevrolet Infotainment 3 multimedia system includes an 8-inch touchscreen. The high-end Premier trim level now includes heated outboard rear seats. What Features in the 2019 Chevrolet Malibu Are Most Important? Android Auto, Apple CarPlay and 4G LTE internet connectivity (data trial included) are present on most trim levels along with GM's Teen Driver monitoring system. The 1.5-liter and hybrid versions give economy-minded drivers gas-saving options. 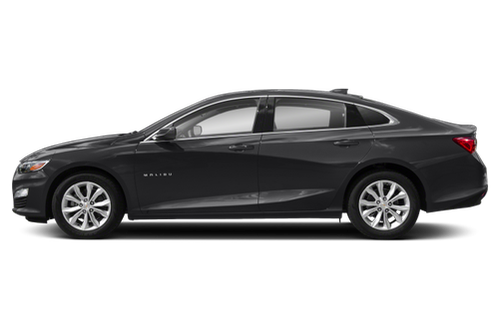 Should I Buy the 2019 Chevrolet Malibu? Aside from the fuel-sipping hybrid, the Malibu doesn't stand out from the crowd of mid-size sedans, all of which are attracting fewer shoppers as SUVs take over as the family vehicle of choice. The 2.0-liter engine provides sufficient acceleration but runs best on premium gas. Safety features such as blind spot warning and rear cross-traffic alert are available only on higher-priced trims, and if you want forward collision alert and automatic emergency braking, they're available only on the Premier. The 2019 Chevrolet Malibu Hybrid has not been tested. Like what you see? 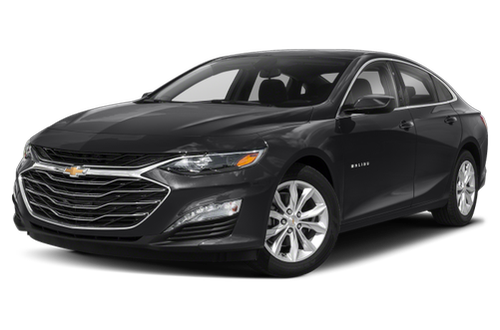 Find the best deal on a Chevrolet Malibu Hybrid today.